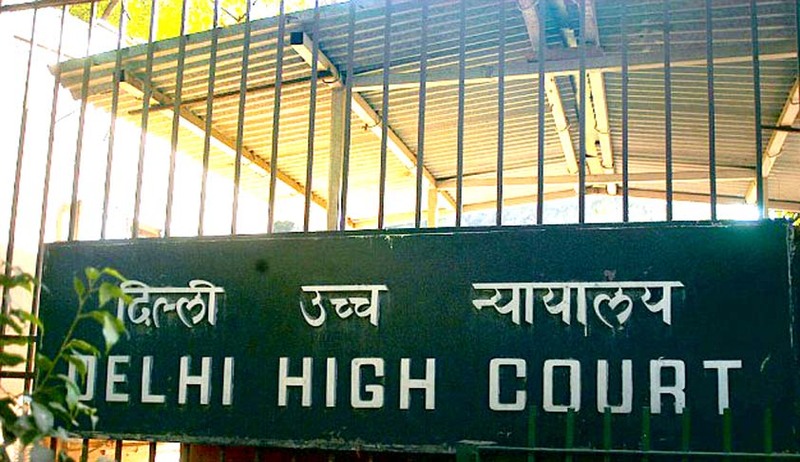 In a landmark Judgment Delhi High Court dismissed an Appeal filed by Supreme Court Registrar against an order by Central Information Commission directing the Supreme Court Registry to furnish information regarding pending cases which had been heard and orders were reserved. In the impugned order the CIC had also directed that if the information sought was centrally not available, the necessary arrangement be made in future for compiling such information and disclosing the same in public domain. “(a) Total number of cases pending for judgments where 'Arguments have been heard prior to 31 December 2007 and Judgments are reserved'. (b) Total number of cases pending for judgments where 'Arguments have been heard between period 01 January 2008 and 31 December 2008 and Judgments are reserved'. “Kindly provide me information under RTI Act 2005 ,In respect of those cases where 'Arguments have been heard prior to 22. December 2009 and Judgments are reserved' in the Supreme Court. In this context following informationis requested in respect of each such case. (c) Date the Case was first admitted. By an order dated 12.01.2010, CPIO rejected the application dated 17.12.2009 and informed that the data is not maintained by the registry in the manner as sought for by him. The CPIO further advised that for all the information with regard to the matters sub judice before the Supreme Court, the Supreme Court Rules, 1966 and the Supreme Court of India, Practice & Procedure ‘A Handbook of Information’- which are also available on the website of the Supreme Court of India- may be referred. A similar order dated 22.01.2010 was passed by CPIO in response to the RTI application dated 22.12.2009. Though he filed an appeal before the appellate authority , that was also dismissed. But the CIC allowed the appeal. Before the High Court, the main question for consideration was whether the CIC can issue a direction for disclosure of information in a form not maintained by a public authority and, whether the CIC could give a direction for compiling of such information and its disclosure in future. Regarding the question “whether the CIC has the jurisdiction to issue/pass directions to ensure that necessary arrangements are made in future for compiling such information?” the High Court held that Section 4(1)(a) of the Act enjoins every public authority to maintain records in a manner and the form, which would facilitate the right to information under the Act. Plainly, information as to pendency of judgments is vital information regarding functioning of the courts. The Supreme Court in the case of Anil Rai v. State of Bihar: (2001) 7 SCC 318 had also pointed out that the confidence of the litigants in the results of the litigation is shaken if there is an unreasonable delay in rendering a judgment after reserving the same and had further suggested that the first page of the judgment also bear the date on which the same was reserved. In view of the relevance of the information the CIC has directed that arrangements be made for disclosing such information. The High Court also rejected the contention that the directions of the CIC violate Article 145 of the Constitution of India. It is held that “Article 145 of the Constitution of India empowers the Supreme Court to make rules as to practice and procedure of the said court. The impugned order does not in any manner seek to alter, add or amend any practice or procedure of the court; the impugned order is limited to ensure that records are arranged and maintained in a manner so as to facilitate access to certain information”. In another landmark Judgment in Secretary General, Supreme Court of India vs. Subash Chandra Agarwal a full bench of Delhi High Court held that the office of the Chief Justice of India (CJI) is a “public authority” that comes within the ambit of the Right to Information (RTI) Act and it is bound to provide information about the declaration of asset details by Supreme Court judges. But the Supreme Court stayed the Judgment and the appeal is still pending in the Apex Court.